Rabbi Klafter became the Senior Rabbi of Temple Beth David in 2013. She brings her passion for Judaism and her knowledge and experiences to the entire congregation. As a spiritual leader, she is committed to fostering a kehillah kedosha, a sacred community here, where all are welcome. Prior to being named Senior Rabbi, Rabbi Klafter served for seven years as the Director of the Religious School. She has been instrumental in revising and reinvigorating the education curriculum and programming for students in Kindergarten through High School and their families. Rabbi Klafter has helped to develop and lead activities for the youngest children in our Temple family. 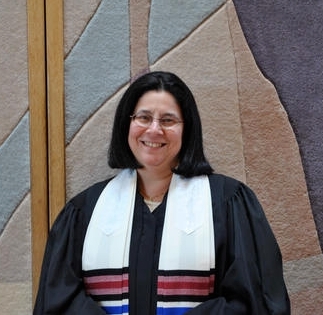 Rabbi Klafter was ordained at Hebrew Union College – Jewish Institute of Religion in New York in 1988, where she received a Masters in Religious Education as well as a Masters in Hebrew Letters. She studied at New York University’s School of Education and Brown University where she earned her B.A. in Religious Studies. She was awarded the title of Reform Jewish Educator by the National Association of Temple Educators in 1992. On May 2, 2013, Rabbi Klafter received her Doctor of Divinity, honoris causa, from Hebrew Union College honoring her 25 years in the Rabbinate. Rabbi Klafter is a member of several professional organizations: the Central Conference of American Rabbis, where she has served on its Rabbinic Rapid Response Team, Committee on Women in the Rabbinate, and Committee on the Rabbi’s Family; the National Association of Temple Educators, where she crafted professional documents for the organization; the Women’s Rabbinic Network where she served on the Executive Board as the New York Regional Coordinator and as its Treasurer. Rabbi/Cantor Audrey Halpern was called to the pulpit of Temple Beth David in 1988. Prior to accepting this position, she served as Cantor/Educator of the Nassau Community Temple in West Hempstead. 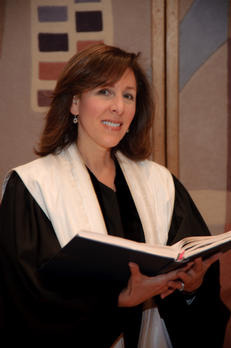 Rabbi/Cantor Halpern received her undergraduate degree in Vocal Performance from the Manhattan School of Music. Her love of Judaism, music and psychology led her to the cantorate and the Hebrew Union College-Jewish Institute of Religion, where she was a scholarship recipient. She was awarded the Morris Smith Award of Excellence, the A.W. Binder Award of Achievement and the American Conference of Cantors Award for Artistic Talent. She became an ordained Cantor and received her Master’s Degree in 1987. Rabbi/Cantor Halpern remains an active alumnus as a selected mentor for incoming students. She has been a guest lecturer at seminars for graduate students at the Hebrew Union College. Rabbi/Cantor Halpern has served on the Executive Board of the American Conference of Cantors and has been a member of the Commission on Synagogue Music. She was selected as a committee member for the 50th Anniversary of the School of Sacred Music and has chaired numerous events for the American Conference of Cantors. Rabbi/Cantor Halpern’s concert experience is extensive. Her recordings of “Shirei Libeinu” and “When You Believe” are frequently aired on WEVD radio. She has performed as a featured soloist with Columbia University at Merkin Concert Hall and with the R’annana Symphony at the Jerusalem Theatre in Israel. In addition, Rabbi/Cantor Halpern has premiered original Jewish works in Los Angeles and Amsterdam and has been recognized as a resource person for WNYC radio as well as a guest on various programs. Rabbi/Cantor Halpern’s primary efforts are devoted to her home here at Temple Beth David. From leading Simchat Torah Parades, Israel “trips”, and Passover seders with our students, to heading our Bar/Bat Mitzvah program, our Rabbi/Cantor is involved with our children. She has created a large and vibrant Junior Choir. Our Rabbi/Cantor initiated our first daytime adult education class. The Rabbi/Cantor’s luncheon discussion group combines friendship, food and laughter with a common love of Jewish thought and study. Our Adult Choir meets with Rabbi/Cantor Halpern and shares a variety of Jewish music which they perform throughout the year. Our rabbi/cantor feels a calling as a spiritual leader. Beginning as a Cantor, she earned her rabbinic ordination in 2012 and her Doctoral degree in counseling from the Hebrew Union College-Jewish Institute of Religion in 2015. She created a healing liturgy and she is dedicated to serving members of the congregation facing special challenges. She officiates at funerals, unveilings, and minyan services, as well as at weddings and baby namings. Rabbi/Cantor Halpern spends much of her time and energy counseling the bereaved and visiting the sick. Rabbi/Cantor Halpern and her family have become an integral part of our community and have shared much of their lives with our congregation.